A dancing butterfly might be an inspiring spot of color that brightens a gray spring day, but they’re ephemeral and disappear when the temperature drops again. 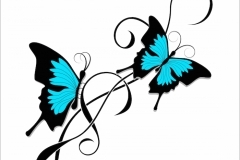 Getting a tattoo of your favorite butterfly is a great way to enjoy that beauty year round. 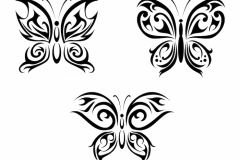 All butterfly tattoos whisper with symbolism as well, so make sure you read up on the hidden meaning behind your skin art before committing to a specific design. 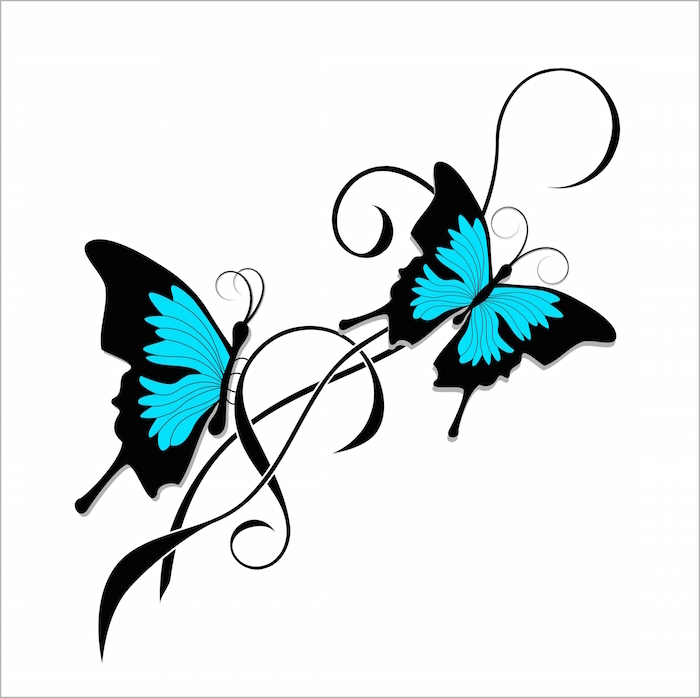 Most butterfly tattoos either feature a single insect, with the wings widely spread, or an entire flock of colorful bugs. 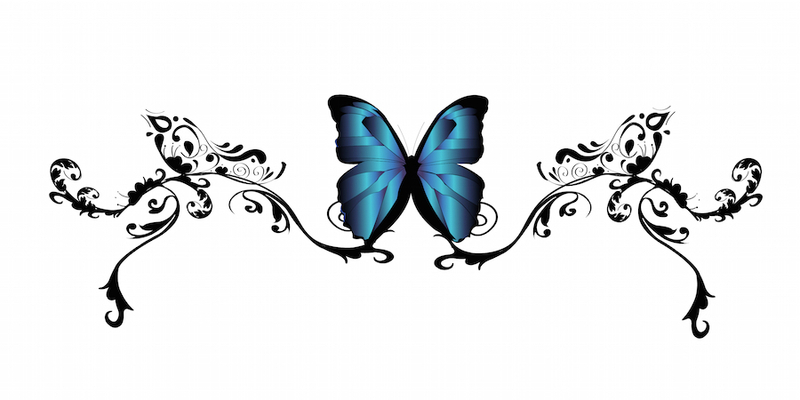 Regardless of the exact composition of the design, the focus is on the colorful wings rather than the exact size or type of butterfly. 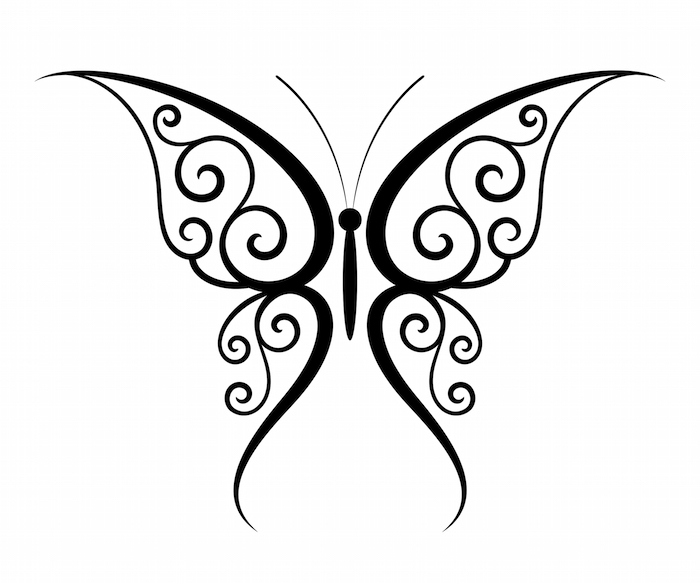 What does the Butterfly Tattoo Mean? Emerging from your shell and showing off you inner beauty. 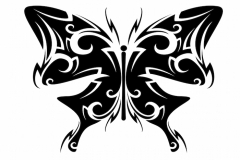 Go beyond the basic meanings of general butterfly designs when choosing a new tattoo. For example, consider the iconic Monarch butterfly if you’re trying to start a new life focused on travel and adventure since these orange beauties migrate every year. 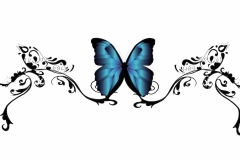 A vintage butterfly design, perhaps featuring artwork taken from 19th century scientific illustrations, is a fun memorial for a loving grandparent that has passed on. 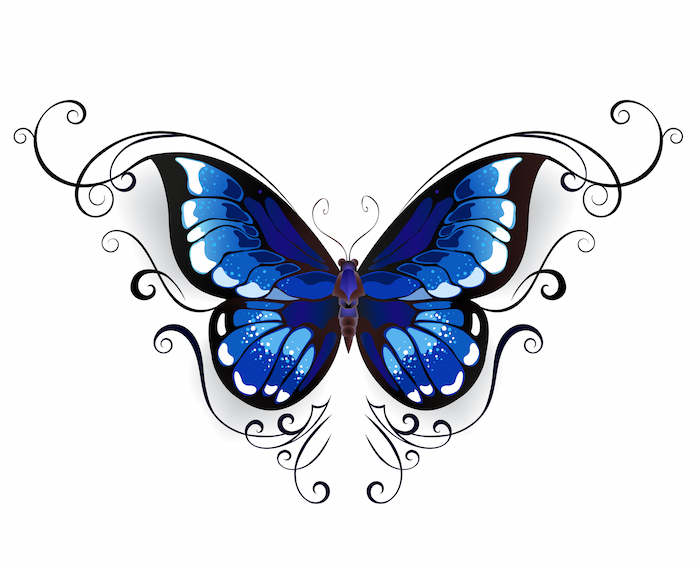 Try a blue butterfly, like the iconic Ulysses species from Australia, to tap into your spiritual side. 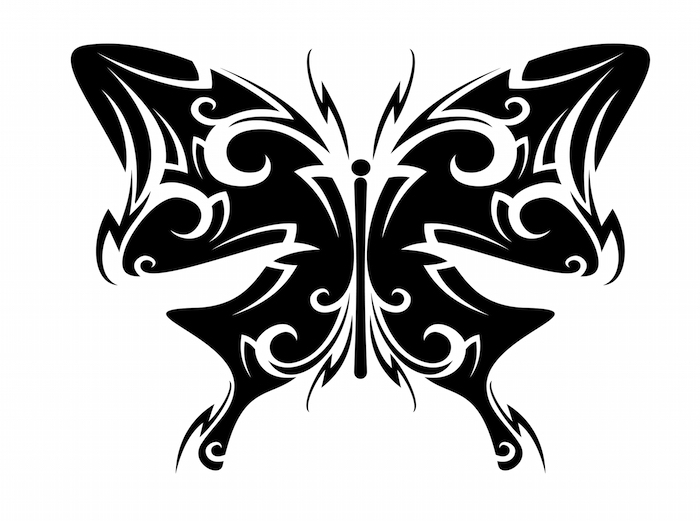 Of course, your tattoo artist can draw practically anything you like for a personal touch, like a black skull butterfly if you’re the gothic type or a deep purple masterpiece to add an air of royalty and power. 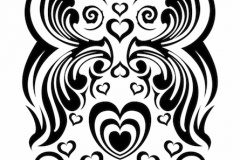 Tribal and celtic knotwork variations help you show off your primal side and love for nature. 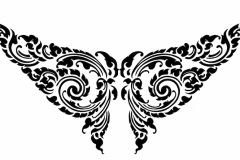 Don’t forget about cute fairy designs with the wings of a butterfly worked in. 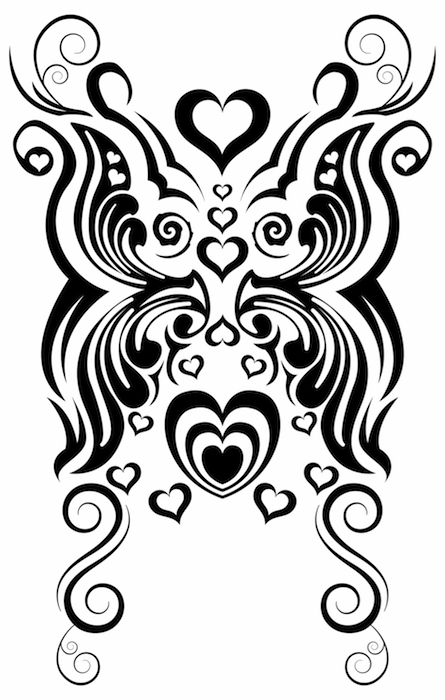 This tattoo design is primarily worn by women because it’s tied to femininity in both Western and Eastern cultures. It’s commonly seen on the shoulder if the wearer choose a large and distinctive piece of art. 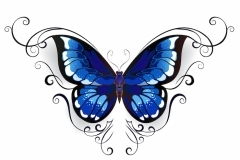 For clusters of small butterflies, the wrist, foot, and lower back are all ideal spots. Don’t be afraid to go through painful experiences if they help you grow into a better person. Show off your inner beauty so the rest of the world can appreciate it. People who wear this kind of tattoo might be outgoing or introverted, but they’re definitely a fan of nature’s beauty. They’re also likely trying to add more grace and love to their life. 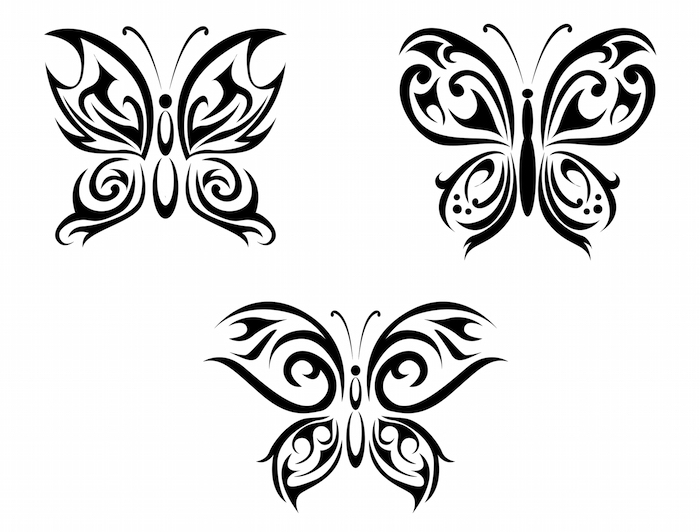 While it’s more likely that the person wearing a butterfly is a woman or girl, some men still choose these lovely insects to adorn their body when trying to add movement and life to a larger sleeve or back piece design. 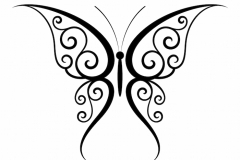 Still unsure if a butterfly is right for you? 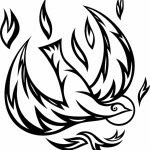 Keep in mind that a skilled tattoo artist can add layers of even more symbolism and art to the space inside the wings. Imagine having the names of your loved ones written into the swirls of color. Some artists create realistic 3D tattoos by adding layers of shading and shadow so the wings appear to pop right off the skin.